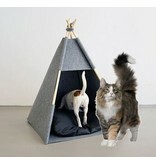 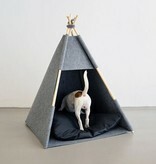 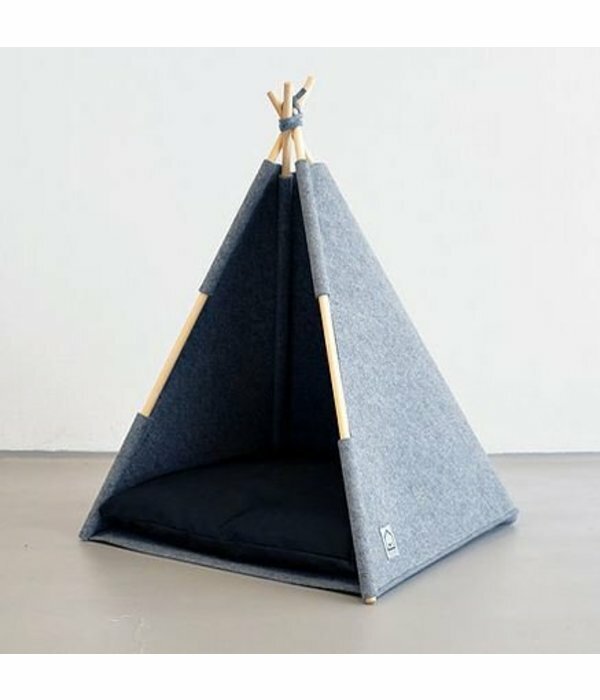 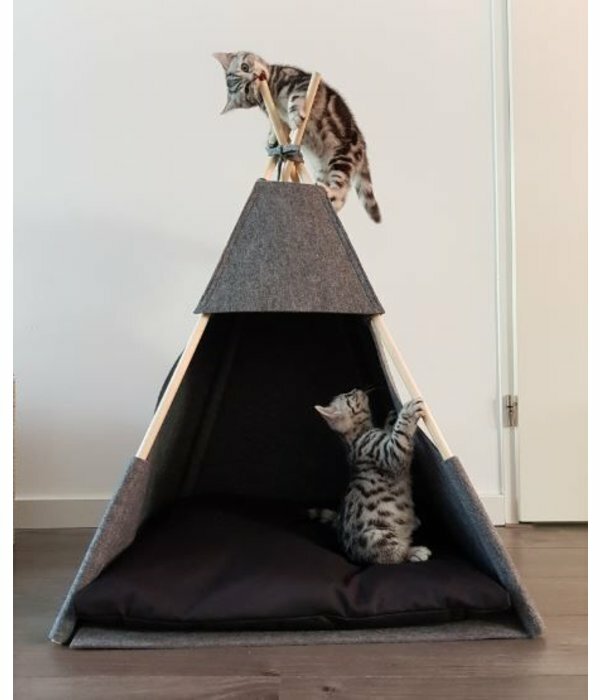 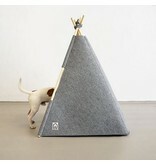 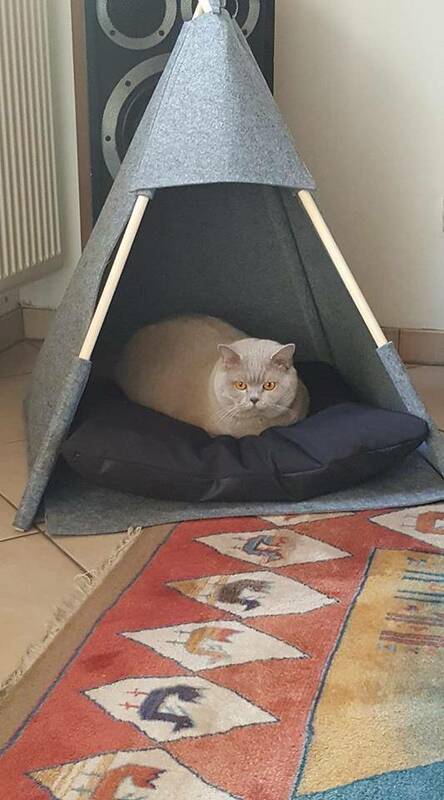 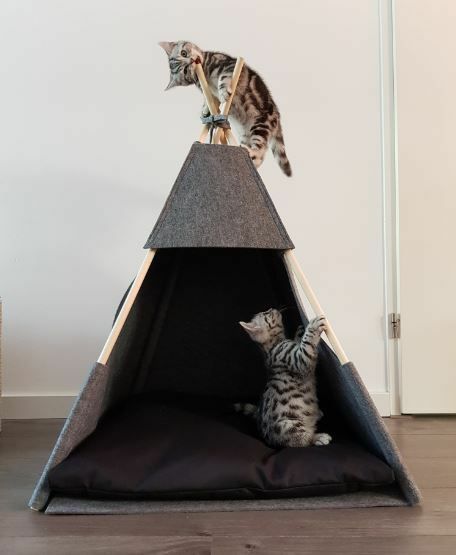 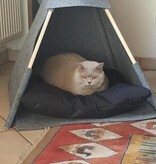 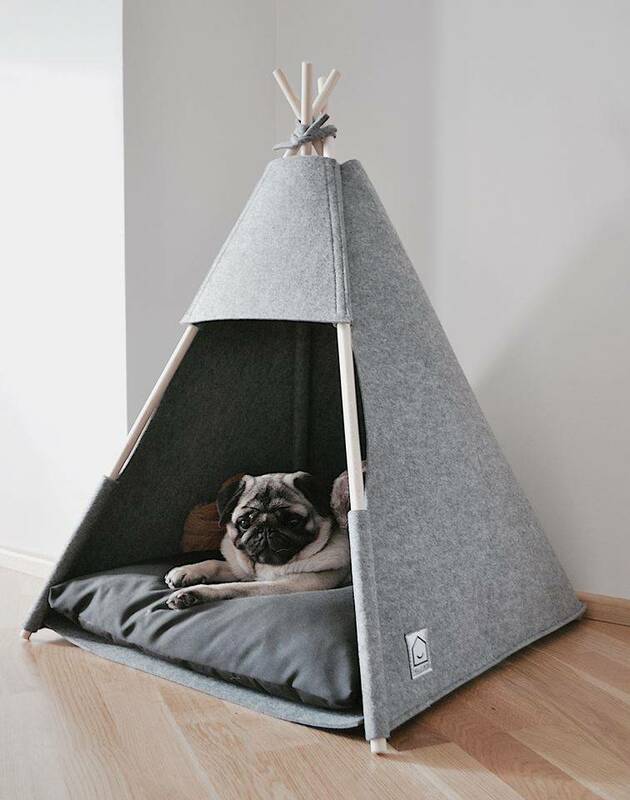 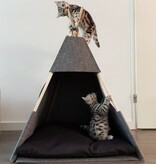 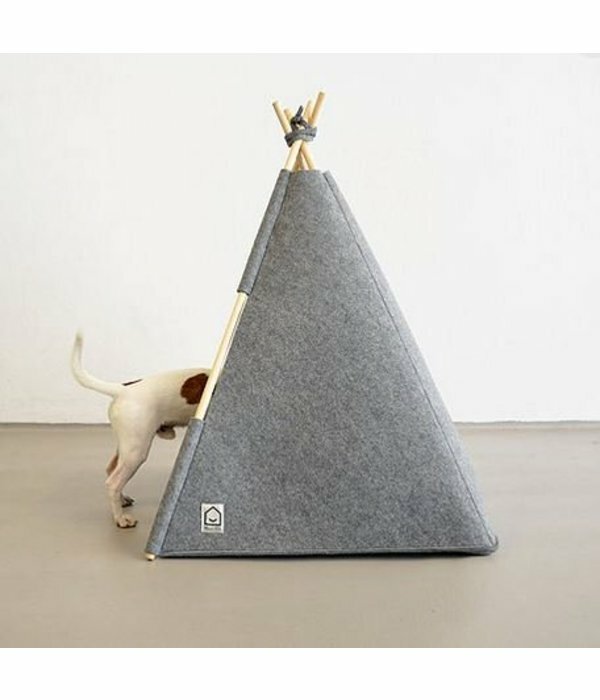 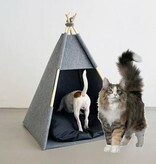 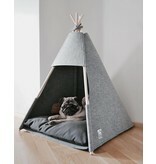 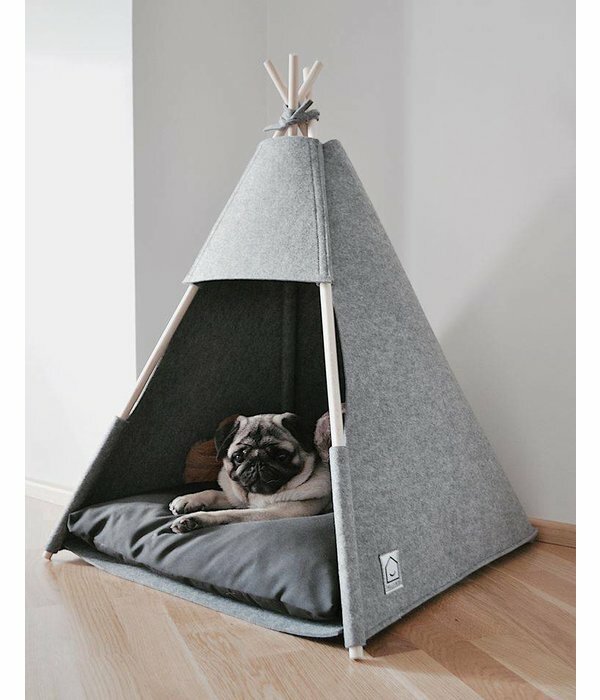 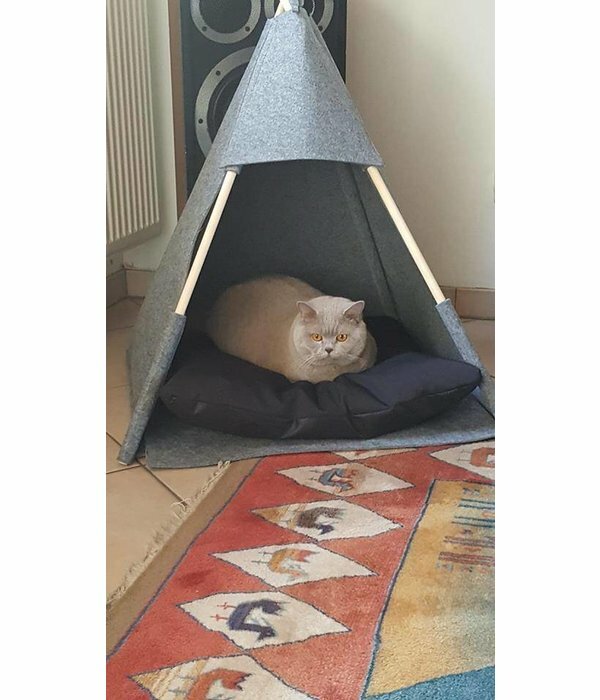 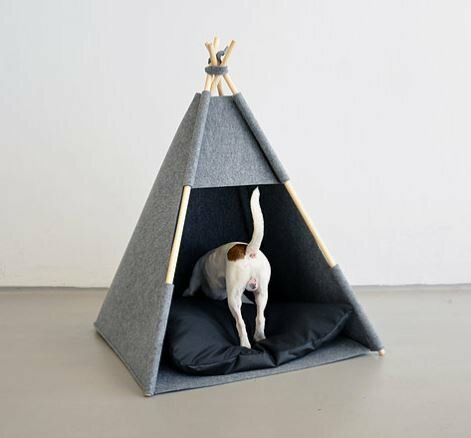 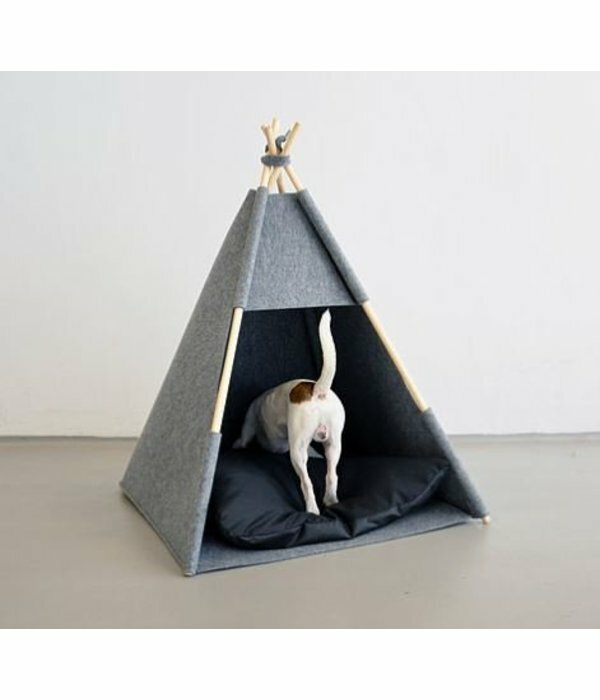 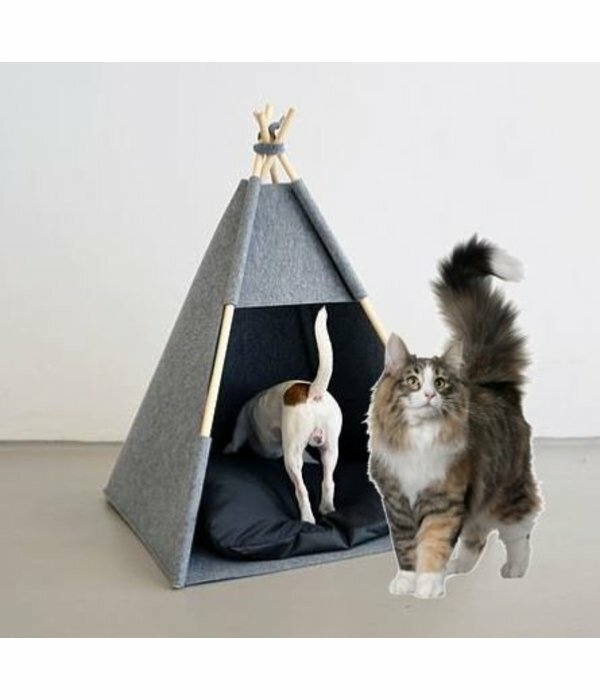 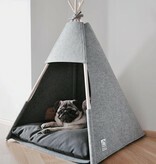 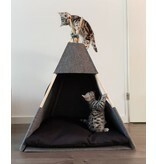 Handmade TeePee tent for small dogs or any size of cats. 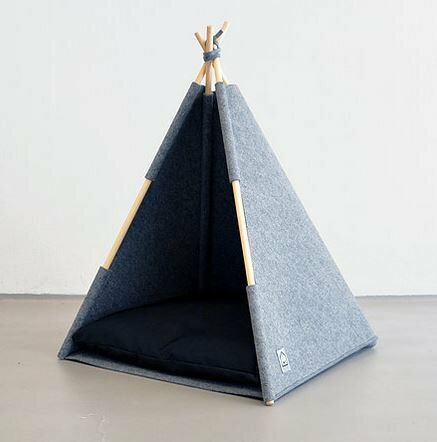 Made out of gray industrial felt with a soft black cushion filled with siliconegranulate. 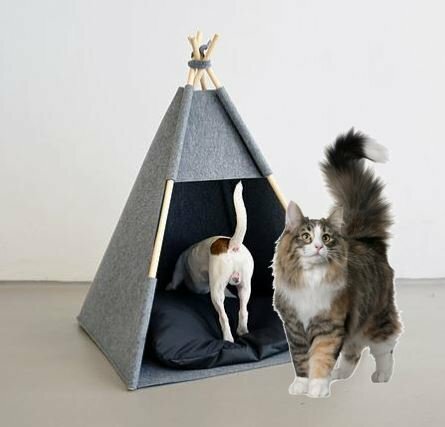 The tent gives your pet the feeling of comfort and safety. 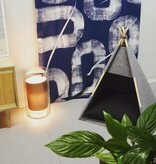 Poles are made from solid wood. 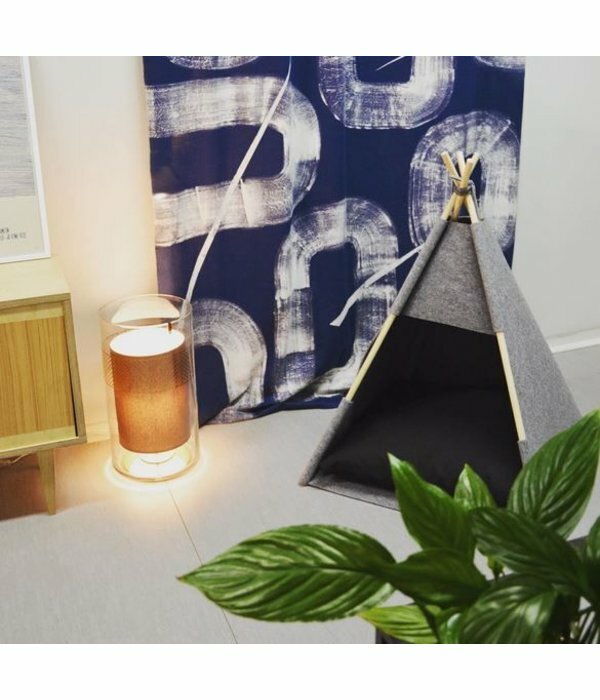 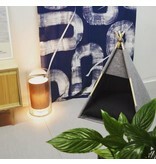 Teepee dimensions: 60 x 60 x h 90cm.